Water levels have remained at low summer levels until the last few days which has seen some heavy rain and water levels rise from 0.37 metres to over 0.6 metres on the gauge. Winter 2016/2017 has been one of the driest on record, in stark contrast to winter 2015/2016 which was the wettest ever recorded. 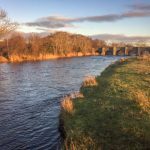 Fishing here finally got off the mark on Sunday 12th February when the first salmon from the river of the 2017 season was landed from the Mill Pool by Bangor angler William Rainey. The 8lbs sea liced fish was taken on worm in bitterly cold easterly winds. The following Friday, another, smaller sea liced fish was caught and released on fly from the Eel Weir. By Wednesday 22nd water levels were just starting to rise for the first time in weeks and Paddy O’ Malley had a 8.5lbs fish on prawn from the Mill Pool. 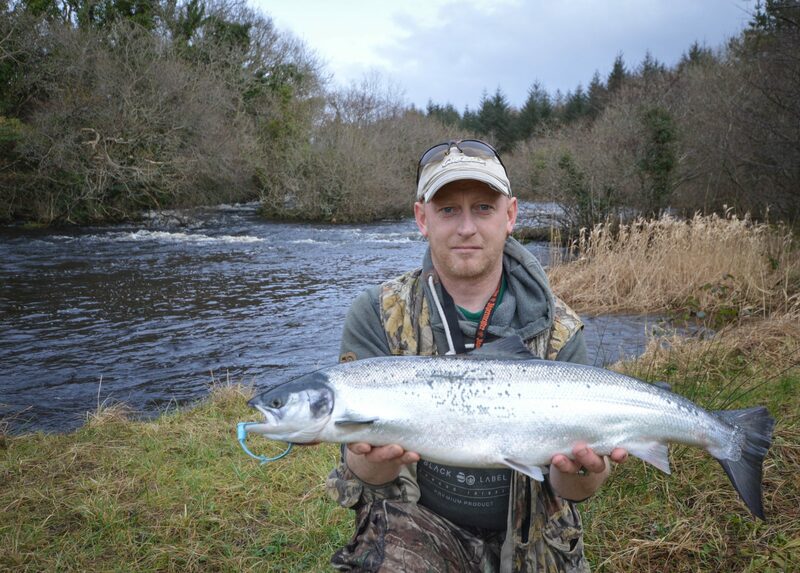 As water levels continued to rise fish started to move and on Saturday 25th Martin Mc Carron had a 10lbs fish on Rapala from the Grazings and Marty King had a 9lbs fish on prawn from the Blackwater, shortly after losing another fish. The forecast for the weekend is for very unsettled conditions with sleet and snow and cold conditions for tomorrow followed by strong winds and further heavy rain later in the week.